Docherty, Paul. “Il Quartiere Dei Palazzi E Dei Santuari Di Aton.” Armijo, Teresa. 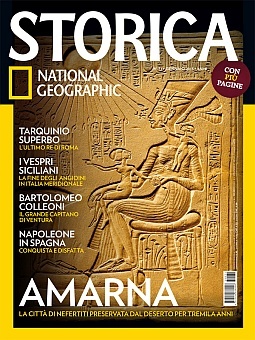 National Geographic Storica. Issue 71 January 2015. 44-45. This was a double page spread of the aerial view of the city from the v.1 model. Docherty, Paul. “El Distrito De Los Palacios Y Los Santuarios De Aton.” Armijo, Teresa. National Geographic Historia. Issue 127 July 2014. 42-43. Docherty, Paul. “Akhetaton La Ciutat Del Sol.” Rotger, Agnes. Gonzalvez, Luis Manuel. Sapiens, Descobreix La Teva Historia. Issue 93 July 2010. 52-53. This was a double page spread of six views of the city from the v.1 model including a previously unreleased aerial angle of the city. Unfortunately I was not credited in the magazine. They did apologise and offer to post a notice in the following issue. Engineering an Empire: Egypt. (2006). History Channel. Engineering an Empire received critical acclaim with the premiere “Rome” winning two Emmys after being nominated in four categories. Digging for the Truth: Nefertiti: The Mummy Returns. (2005). History Channel. This was a short animated sequence flying over the city. It was broadcast on the History Channel then released as part of the DVD series Digging for The Truth Season One. Docherty, Paul. 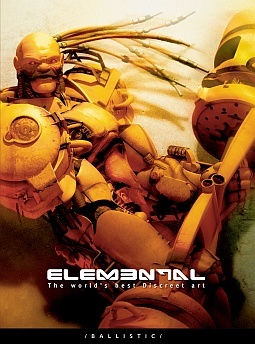 “Amarna Royal Key.” Elemental 1. 2004. Ballistic Publishing. 166. Titled the world’s best Discreet [Autodesk] Art. Three aerial views of the city from the v.1 model. 3D World magazine were the first to publish an aerial view of the city from the v.1 model. This was circa 2003 I believe but I need to verify.